When you think about opportunities in the ecommerce world, very few would think to sell short shorts for men. Shorts are a hyper competitive market and most men were wearing cargo shorts or pants to work. For Chubbies co-founders Kyle Hency, Rainer Castillo, Preston Rutherford, and Tom Montgomery, building a retro-inspired shorts company was the most natural thing in the world. They’d graduated from Stanford and pursued jobs across finance and corporate retail. At the end of the day, they all wanted to free their legs from pants. In college, the four would rock retro short shorts that they bought in thrift stores and people began to talk about their “really cool shorts”. This led to a point in 2011, where they had decided they’d had enough of the corporate world and wanted to start their own company together. Though selling shorts may not come to mind for most, for the four college buddies, it seemed like second nature. During a Fourth of July trip to Tahoe in 2011, the crew decided to put some extra effort into their holiday attire. Castillo raided a local fabric store for red, white and blue patterns, and made what would become their first version of shorts. Thinking the shorts would be a hit, they made 20 extra pairs and carried them in backpacks during the vacation. They sold out of them right there on the beach, selling for $50 each. As fraternity brothers themselves, the founders knew the brand would connect well with men in fraternities. To get an initial boost for the brand, the team reached out to fraternity presidents across the country. This turned into the ambassador program which has been one of the fuels for the companies tremendous growth. The setup of the program is pretty straightforward: the company sends their products to these ambassadors in exchange for content and posts on a ambassador’s social media. If you walk around any big college campus when it’s nice out, you’re bound to see at least a few guys rocking Chubbies shorts. To ramp up for their first summer, the company spent almost all of it’s cash on inventory. The products that they thought would last them through the summer, ended up lasting only a few days! The beauty here is that most of their content is user generated. This means they don’t have to dish out money to models or run expensive photo shoots. Their customers love the brand so much that they actively take photos that showcase the brand. When the team thinks of their content, they compare themselves to the likes of Comedy Central or Jimmy Fallon. Each piece of must fit their brand and every post is an attempt to “make the customer appear as the hero.” For instance, their YouTube page is hilarious. Their content strategy isn’t focused on a blog or one specific channel. Instead, it’s around creating long term customer relationships. As an example, they once sent out 1,000 packages of Big League Chew on a random Tuesday to past customers. Customers tweeted photos of the gum to Chubbies and their friend, which increased the brand’s visibility to tens of thousands of potentially new customers. 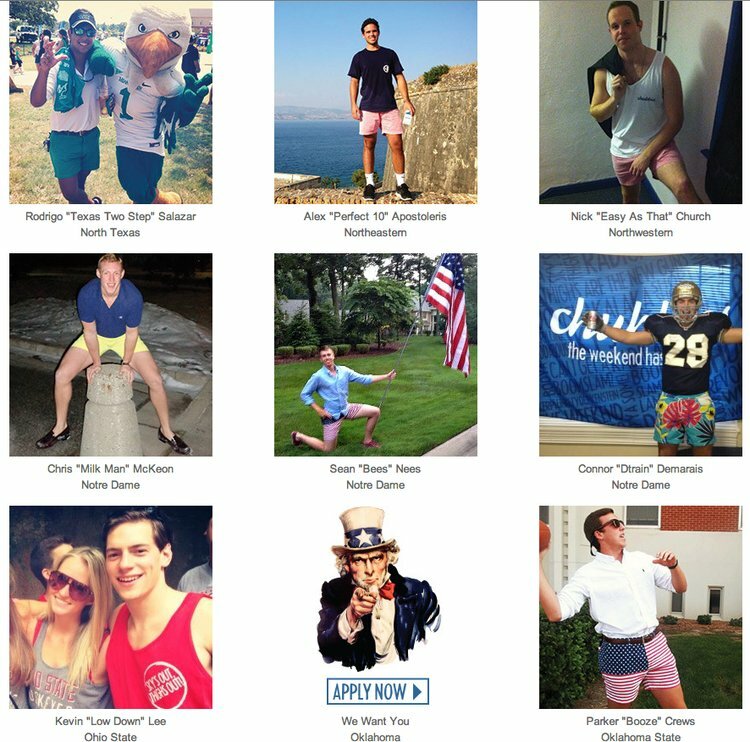 When Chubbies thinks of their brand, they think about creating a persona that you or I would want to hang out with. It’s this mindset that makes their content stick. They don’t think of it as sales or marketing. Their approach is always relationship based. By the end of 2012 the company had 12 full-time employees in a warehouse outside of San Francisco. Chubbies originally produced all of its shorts domestically, a product of its scrappy early days. The “Made in the U.S.” branding also played well with its male customer base. Getting that domestic supply chain–which includes two cutting facilities, eight sewing partners and a handful of fabric vendors–in order has taken more than two years. The company couldn’t even consistently meet demand until the end of 2013. With the brand’s growth, they’ve diversified their supply chain moving some production overseas to keep up with demand. “As we’ve grown we’ve really expanded what the weekend means, and [we’re] really helping to define a more comprehensive experience for our guys beyond just throwing on a pair of shorts at 5 p.m. on a Friday,” said Rainer Castillo, a Chubbies’ co-founder. The decision process for new products stems from judging their comfort, nostalgia factor, and whether they have the potential to “make the weekend better.” This type of branching out has been essential, as shorts are a hard sell past September in most markets around America. Some of their new products include a line of swimwear, half-zip sweaters, and various kinds of shorts. For the founders, this is going to be a 20+ year journey. With funding from some awesome investors like Thrillist CEO Ben Lerer, Rothenberg Ventures, Trunk Club’s Brian Spaly, IDG Ventures USA, and a few others, they’ve got a lot of support to become a household name in fashion. They’re also continuing to explore channels, even dipping their tones in retail with a physical retail store on Union Street in San Francisco. 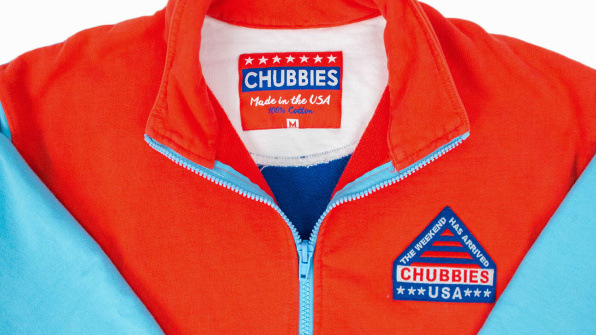 Today, Chubbies has over 50 employees and continues to see growth. What started as a funky short shorts brand has turned into a brand with customers around the world. 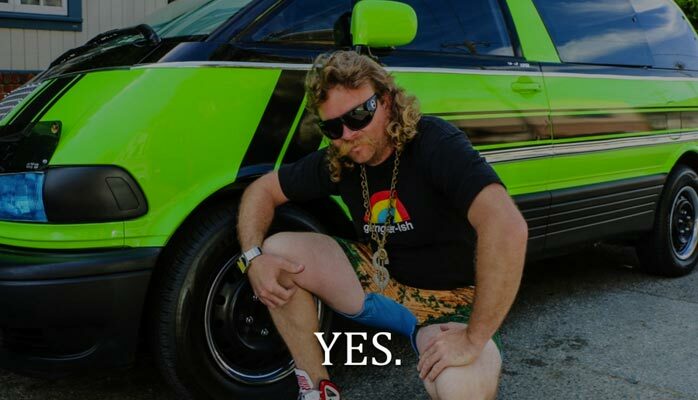 For any ecommerce entrepreneur out there, take note of how true Chubbies has stayed to it’s brand.